One of the University of Belize’s main sites is located in Punta Gorda. This year, of the 1, 147 graduates from the University, 88 completed their degrees at the Punta Gorda Campus. They were honored at a graduation ceremony on June 14, 2018. 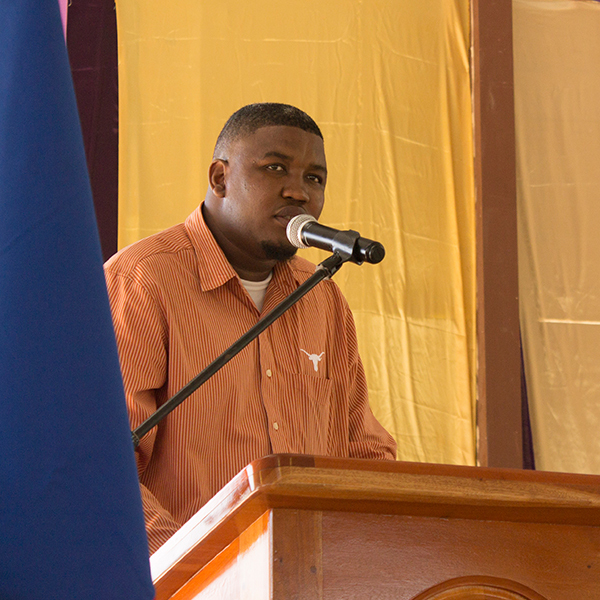 The Keynote Address was delivered by Mayor of Punta Gorda Town and UB alumnus, Ashton McKenzie. Last but not least I want to encourage you to not be complacent. Don’t settle for mediocrity. Be the best that you can be. If you are finishing your associates pursue your bachelors. If you are completing your bachelors pursue your Masters. The university has now launched its Master’s program. Go for it. The sky is the limit. We live in an ever competitive world so let’s not settle for nothing but the best. With that being said thank you very much and congratulations on your accomplishment. My hope is that more students from this District will be prepared at the Secondary level and be encouraged to pursue careers especially in Science & Technology at the University of Belize. I am very pleased to note that two students completed the programme “Certificate in Agriculture”, and you have created history, UB’s first graduates with this Certificate. Congrats! And so to the residents of this district of Toledo, we want to assure you that the University of Belize is on a trajectory to provide more opportunities for tertiary education, as after 18 years of formal existence, this is a time of change. 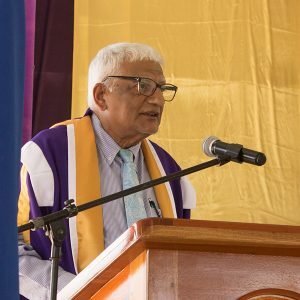 A time for this National University to leap to another level, fulfilling its promise and its mission, for giving young Belizeans the hope for a better quality of life through a University education that is fulfilling as it is memorable.